GoDaddy’s GoCentral is a website builder that allows users to create fully-functioning websites without the need for prior coding knowledge. It features mobile-optimized designs, PayPal integration, social media integration, SEO optimization, and more. We compiled GoDaddy user reviews from our website and around the web and determined that it has generally positive ratings. We also shared its available pricing options. Ready to try GoDaddy? Get a free trial. GoDaddy offers four plans: Personal ($5.99/month), Business ($9.99/month), Business Plus ($14.99/month), and Online Store ($19.99/month). The main differences between the plans include the capacity to create email campaigns and integrate social media accounts to a website. The Online Store plan also gives users the ability to receive online payments, have shopping carts, and create online checkouts. Users who gave GoDaddy a positive review said that it has a great user interface and is very easy to set up and navigate. They like that it keeps it simple for anyone to use, even for those with limited computer skills. Users who gave GoDaddy a negative review said that GoDaddy’s templates are not good enough and have limited customizations for those who want to do more with CSS or HTML. They claim that the website they created using it rarely shows up anywhere on Google, even after using the GoDaddy SEO optimizer. Check out the list below of some of GoDaddy’s features. Domain Name Registration – How To Register + Helpful Tips — Registering a domain is just a simple task. However, there are a few possible stumbling blocks you may run into when completing the process. In this guide, we’ll go through the process of registering a domain and what missteps to avoid in order to obtain your perfect domain name. How Much Does A Website Cost? — The cost of your website will depend on whether you want to go DIY or hire a person/company to build it for you. In this guide, we’ll walk you through the different options you have to build your website and how much each of the options will cost. Yes. 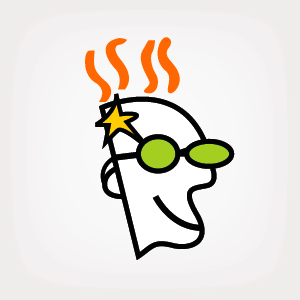 GoDaddy’s first month is free. Can I link my Facebook account to my GoDaddy website? Yes. Users can connect their social media accounts to their website. Is it possible to buy a domain name through GoDaddy but use another website builder? This is a tutorial video that covers how to set up and customize a website with GoDaddy. Not sure if GoDaddy is the right fit for you? Read our reviews of all top website builder providers. GoDaddy is one of the most used domain and hosting services out there, so it can make a lot of sense to use their website builder if you’re already purchasing products from there. Their pricing at the entry level is great, they run promotions for discounted pricing, and the editor itself is very easy to use. Everything is drag and drop and “swipe to style”, so it’s a breeze to make a quick site. Their designs are mobile responsive, friendly to SEO, and good-looking. If you’re looking for a highly editable site, I think GoDaddy’s builder comes up short. The breadth of templates is not there yet, so even though each template is highly customizable, the layout, flow, and feel of the site isn’t nearly as customizable if you’re looking for lots of creativity and personalization. They basically choose your template and layout for you based on the information you provide in the on-ramping process. And that’s fine because it takes the design and guesswork out of it, but it also falls short. And and it’s missing some key elements like a real hosted blog (that ruins the “all under one hood” concept, because you’ll need to head to something like tumblr, wordpress, or blogger for a real blog). I wish I had known about the lack of “fine-tuning” options. It’s possible to arrange your elements differently, but it’s not nearly as capable as something like Squarespace. Their tagline of “create your site in under an hour” is great for speed and ease, but not great for putting out a stellar, professional site. There isn’t much I didn’t know beforehand – a free trial lets you see how far you can take a template so you know if it will work for you. The blog issue was a surprise and makes it a no-go for me personally, but it was a mistake to not check on that beforehand. Having all of Godaddy’s services right on hand is really helpful! Having access to the domain, email AND a website builder all in one location definitely makes GoDaddy a one-stop shop. GoDaddy isn’t the easiest to use in comparison to other website builders (Squarespace, etc). It’s a little clunky and out of date when it comes to actually putting everything together and navigating the different services. How integrated everything is into one account. GoDaddy actually does a really decent job of making everything accessible and fairly easy to use if you want to make it all happen at once! As a web designer, I have clients that the Website Builder reduces their barrier to entry. As small businesses or solopreneurs they can get a web presence with minimal tech skills. I also use the Website Builder for a couple of my sites as examples to prospective clients. Everything needed to get on the web including security, up-to-date responsive themes and SEO is readily available whether a person does the work on their own or hires someone to do it for them. Godaddy is accessible and believe in the security of their clients and partners. The products they offer are high quality and their service is consistent. I recently ran into someone whose site is with a Go-Central Partner. That Partner died and so all of his clients are left vulnerable once their hosting payment cycle ends. (I understand they paid yearly.) They also are not able to get updates/edits to crucial parts of the site because their admin log-in was limited by the partner. If the Go-Central program requires or at least gives the option for the end website owners to create their own accounts that would protect them from losing their sites or having to pay someone else to start over with a new site. An option could be for the Go-Central partner to be required to have a second contact that could act on their behalf in case of an emergency. When they stop updating some tools, that means clients are left with obsolete products with minimal tech support to keep them running smoothly. It would be great if alternatives are offered or even if they would eliminate the tool altogether (with 90-180 days notice) that would be very helpful. It keeps it simple for anyone to use with limited computer skills. 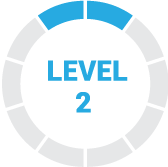 Very easy to setup and navigate which makes business easy. The layout is dated and could be due for an overhaul. Nothing, GoDaddy has been around for years and has been a mainstay in web development. It is seamless. I bought my domain name, and once the purchase was complete GoDaddy instantly took me to their integrated Website Builder. It has a great user interface, and is a huge improvement over the c-panel interface from early 2000’s GoDaddy. You don’t have as much control as a custom developed WordPress sight. I was able to get the GoDaddy WordPress Builder to visually do exactly what I wanted. However, I wasn’t able to optimize the speed of my site as much as I can with a custom developed site. I wish I had tried this sooner. 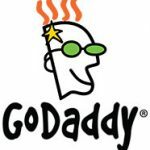 I overlooked it before, because of my previous experiences with GoDaddy back in the early 2000’s. However, when I decided to build my personal site I didn’t want to spend the time building a custom WordPress site, and GoDaddy was their to the rescue.